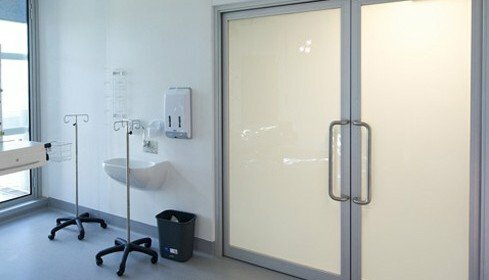 Our Switchable Privacy Glass provides an unforgettable experience, switching back and forth between a clear window panel and a non-transparent opaque panel. This high-tech feature is creating privacy solutions in modern offices, residential homes, hospitals, universities, government buildings and banks across Australia and around the world. We have had an incredibly positive experience using Switchglass. Working with Roman and his team has resulted in a high standard of glass that aids privacy in our boardroom, and we will absolutely be recommending Switchglass to others in the future. Excellent service, great crates that were well packed along with smooth delivery. The follow up call was very professional. Roman is always ready to help, has a wealth of knowledge and most importantly, knows how to get the job done! Exceptional customer service was very helpful. I was very appreciative of your willingness to go above and beyond. Fantastic service from start to finish. As we’d not installed Switchglass before, we wanted to get a clear understanding of what was involved. Roman was able to provide all thetechnical information we needed along with drawings and details for the wire locations. This was a great help. Our project had an extremely tight time-line and I appreciated the regular feedback we received about our order’s progress. When it was dispatched we were notified via email with tracking details and were alerted on a regular basis about its time of arrival. The glass arrived very well packed and in good quality, robust crating. The installation of our Switchglass was very simple, our team installing it with no problems at all. Overall, we receivedimpressive service facilitated by good processes and systems and I would highly recommend Switchglass, the company, and the product, to others. Great job. Switchglass thank you for the outstanding service. It was a pleasure working with Roman to ensure our project was completed on schedule. I was particularly impressed with the follow up call over the weekend. I couldn’t be happier with the end result and appreciate the professional and personalised service offered by SwitchGlass. Our newsletters keep you informed and up-to-date. Providing you with the latest current and upcoming SwitchGlass technologies and news.